Công ty Môi Trường Hành Trình Xanh hân hạnh là nhà nhập khẩu và phân phối độc quyền sản phẩm Màng lọc RO NF KOCH - USA tại Việt Nam. Chúng tôi cam kết cung cấp sản phẩm và dịch vụ tốt nhất tới Quý Khách hàng. Koch Membrane Systems (KMS) is a global leader in membrane fltration technologies with over 50 years of membrane experience and 20,000 system installations worldwide. 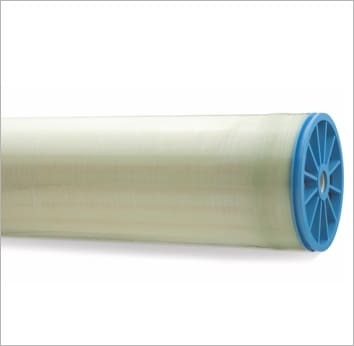 We manufacture our membranes in our state of the art facility in the US and we employ them in our systems. As a complete solution provider, we have applied our experience and expertise to develop water and wastewater fltration solution lines to eﬀectively handle streams from diﬀerent industries and applications. 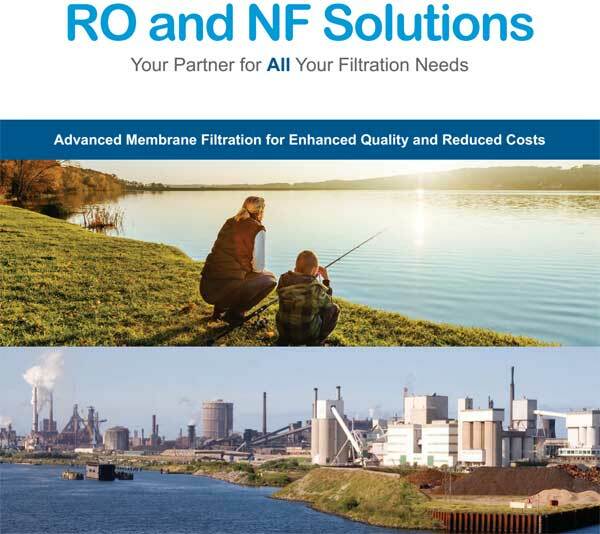 We topped this with our reputable well known FLUID SYSTEMS® RO and NF membranes to provide fouling resistant and high recovery solutions.Our broad portfolio of MBR, UF, NF and RO products provides complete water fltration solutions to your plant. We will help you meet the process water demand and wastewater treatment objectives. Our fltration solutions are energy efcient and environmentally friendly. continue to bring advanced solutions to the fltration market. In 1998, FLUID SYSTEMS became a part of Koch Membrane Systems, one of the world’s largest water treatment and membrane filtration companies. FLUID SYSTEMS is a key member of KMS, complementing the MBR, MF and UF technologies to provide municipal and industrial clients with broad expertise in filtration and purifcation processes, continuous investment in R&D and years of operation know-how. Reverse Osmosis (RO) is a fltration process known to be the most energy efcient method of removing dissolved salts from water. RO technology plays an integral part in addressing the demand for alternative drinking water and high quality process water for the industry, as the world’s water shortage problem continues to escalate. Nanofltration (NF) is a technology closely related to RO, often used for water softening, hardness removal and reducing the level of organic matter in water. NF membranes excel in removing metals, hardness and other divalent ions from water, while leaving monovalent ions such as sodium and chlorides to pass through the membrane. With approximately 20,000 systems operating around the globe, we have the experience and knowledge to design and build the system that will ft your needs. At KMS we understand that high recovery and reliable RO solutions can make your operations efcient and cost eﬀective. We will provide you with innovative and complete solutions using our pre-engineered or custom designed systems.